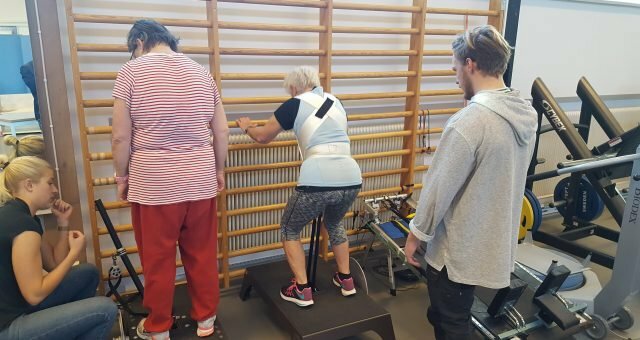 Flywheel training is increasingly being used for rehabilitation and physiotherapy, and the world’s most innovative country in this applying this is probably the Netherlands. 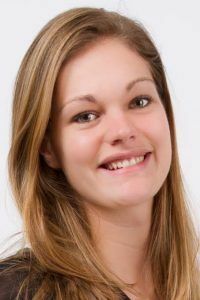 One of the many skilled Dutch flywheel physiotherapists is Lotte Lafeber in Rotterdam. Fredrik Correa reached out to Lotte to learn more about her involvement with flywheel training and how she uses the kBox with her patients. She generously agreed to share her experience, for us all to benefit from. How come you wanted to be a physio? I’ve always wanted to work in health care since I was young. When I found out that with physiotherapy you can combine working in health care with sports I chose this field. In the work you have a lot of contact with the patients which I like. Working togther with a patient to reach the goals you’ve set up together is a very thankful job. Tell us about your current work as a physio? 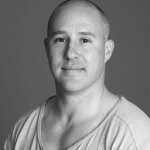 I’m working as a physiotherapist for two days a week at Praktijk voor fysio- en manuele therapie ‘Groothandelsgebouw’ in Rotterdam and for two days a week at Fysio Effect in Rijswijk. We see all kinds of patients and their problems varies from back pain and neck pain caused by working to much at a desk to injuries during sports. Since I’m doing a master in sport physiotherapy I’m focusing on the patients with injuries related to sports. So for example runners with knee injuries or rehabilitation after an operation like an anterior cruciate ligament (ACL) reconstruction. How did you come in contact with flywheel training? We were looking for a new and innovative way of strength training. We came in contact with the company Fyzzio and they advised us to try flywheel training. So we purchased a kBox combined with SmartCoach to the clinic in Rotterdam. What problems or difficulties do you find the kBox solves for you in rehab? While training with patients I always try to use the most functional way. Mostly the goal in rehab is not to get as big muscles as possible, but to be able to use the muscle in the right way during your normal activities or during sports. During normal movements your muscles are contracting concentric, eccentric and isotonic. With most strength training you’re training the concentric contraction and a bit isotonic but the eccentric contraction is less involved. With the kBox you can make sure you use all three of them. So this makes it a very functional way to train the muscles and it simulates the real sports activity. How do you think the kBox works as tool in rehab and then crossing over into regular training? It helps that you not only focus on the concentric but also on eccentric contraction but also that you can analyse your training using the feedback. You can make the results clear to your patients by showing the progression curve and also expose asymmetries in strength between the left end right leg. Are there any situations where you believe the kBox is extra beneficial? I often use the kBox with people with knee problems where I see a lot of positive results. The feedback I get from patients is also positive and they appreciate this new form of training. Because of the clear results presented via SmartCoach they are very motivated to achieve maximum with every repetition. We’ve put a laptop next to the kBox so not only we but also the patient can see it. Can you tell us about any special cases where you have used the kBox and what the outcome was? I will tell you about someone with patellofemoral knee pain. In her case the condition of the cartilage between patella and femur was decreased. With normal activities she didn’t experience pain but with sporting the pressure on the patella increased and pain was revealed in the knee. 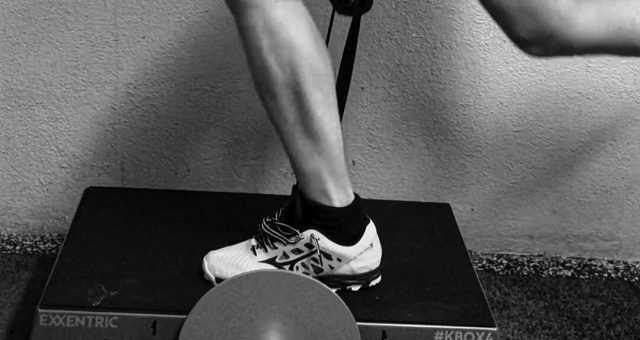 With the kBox we trained the strength of the quadriceps, the collaboration between quadriceps and hamstrings and the abductor muscles of the hip to optimize function of the lower-extremity kinematic chain. This in combination with some stability training led to the fact that she is sporting now with no pain at all. Do you have any tips for other physios looking at incorporating flywheel training in their clinical work? I would like to advise them to do so. It is a very effective way to train with your patients. Besides that, the kBox itself is not that big. So if you don’t have much space in your exercise room for big devices the kBox is the good way to go. Last, what are your personal plans in the next year looking at your professional life? I would like to develop more in the sports field of physiotherapy. During my master, the coming three years I hope to learn much more about training and rehabilitation. Also I would like to focus more on prevention of injuries. With an analysis you can often already see where weak points are. 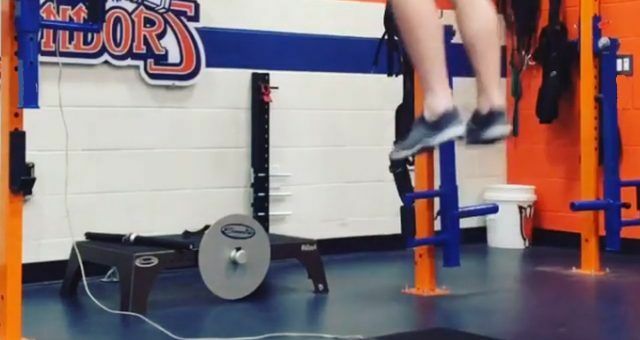 When you start training that before it results in an overload at that point, you can often prevent the athlete from getting an actual injury. And the kBox will be a helpful part in this. That wraps it up, thank you Lotte for contributing and good luck in your future studies and professional development! Learn more about the applications of flywheel training in rehabilitation.